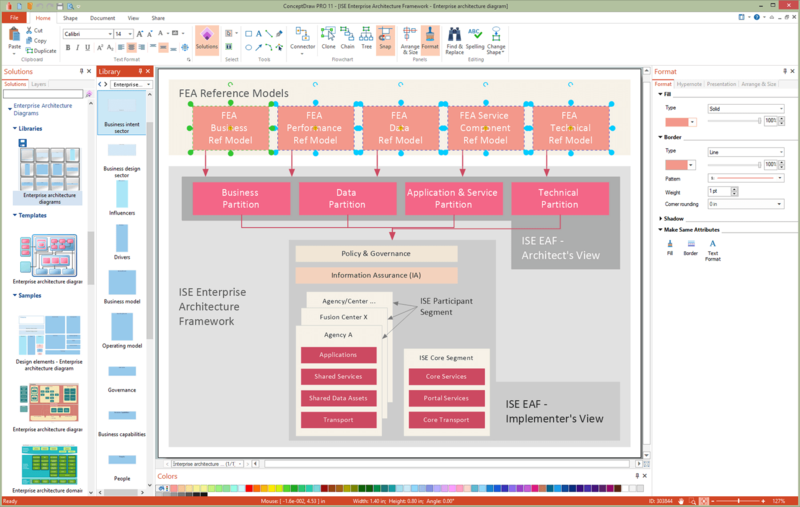 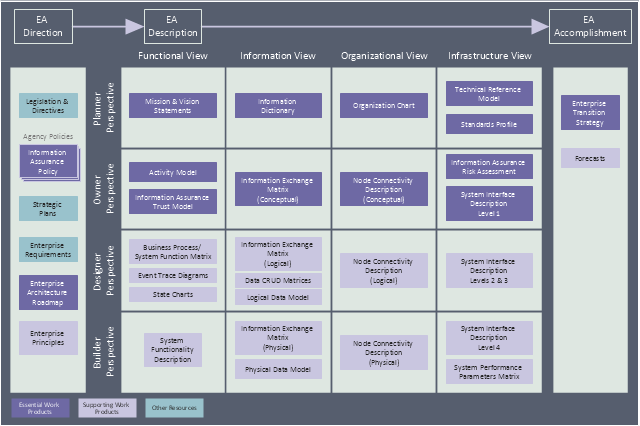 "Enterprise architecture is a comprehensive framework used to manage and align an organization's Information Technology (IT) assets, people, operations, and projects with its operational characteristics. 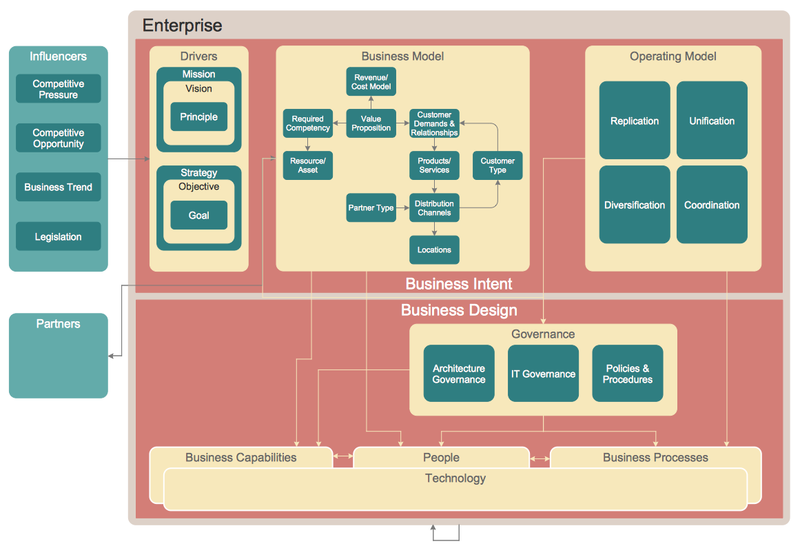 In other words, the enterprise architecture defines how information and technology will support the business operations and provide benefit for the business. 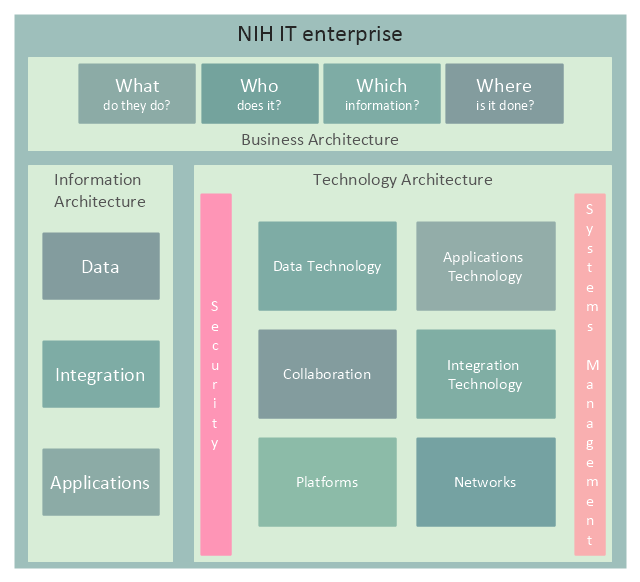 (6) Technologies upon which networks, applications and systems are built. 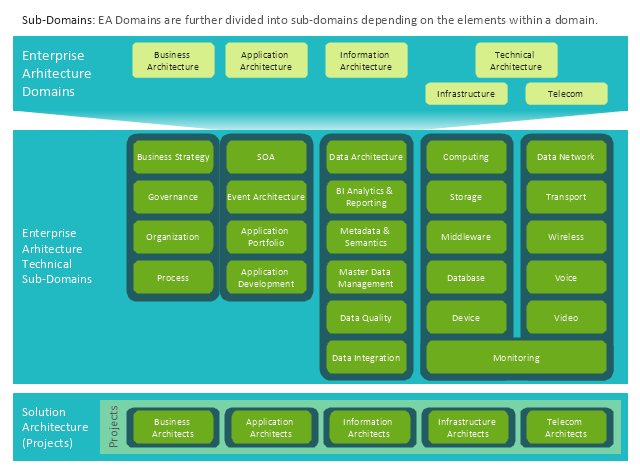 This enterprise architecture diagram sample was redesigned from the Wikimedia Commons file: Enterprise Architecture Domains Subdomains.jpg. 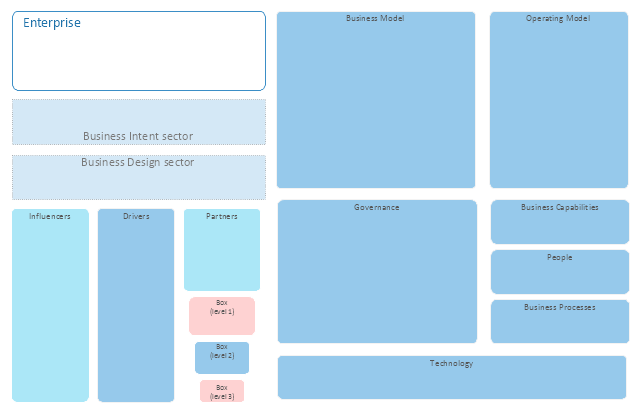 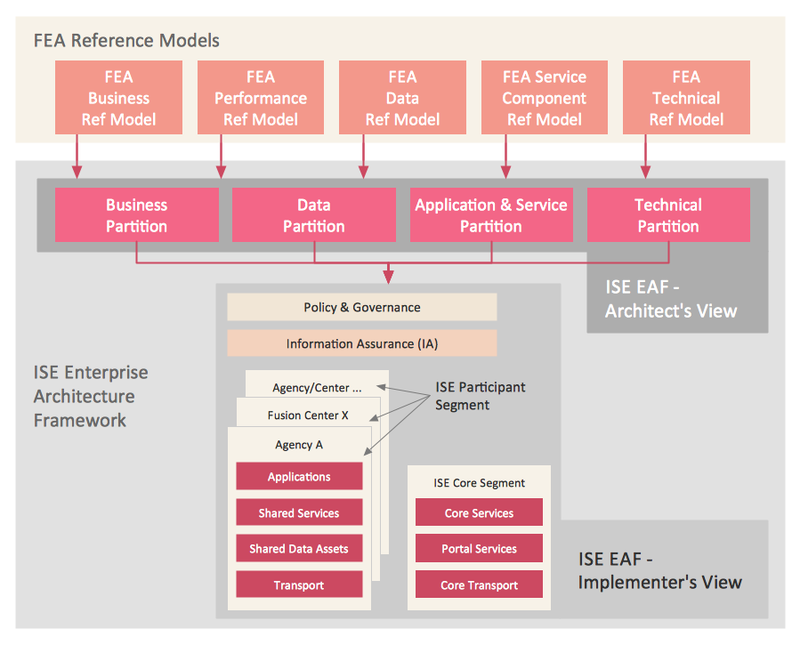 An enterprise architecture’s landscape is usually divided into various domains based on the attributes of the environment and the logical grouping based on Industry EA Frameworks. 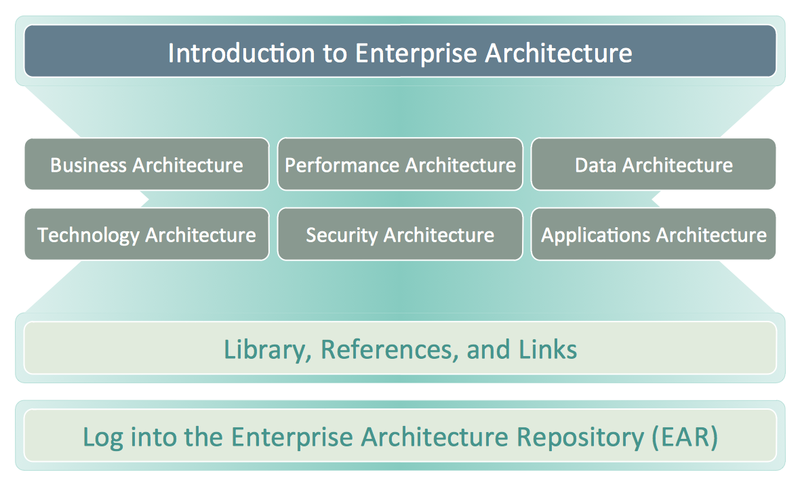 Enterprise Architecture consists of 5 domains: Business, Application, Information, and Technical (Infrastructure and Telecom).